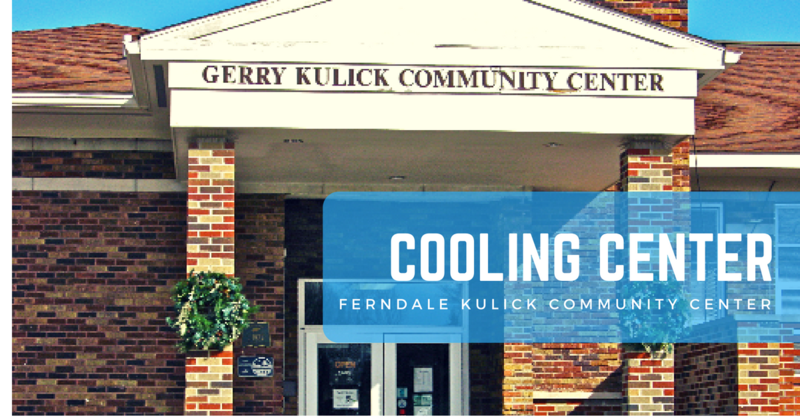 The City of Ferndale will provide the Kulick Community Center as a temporary shelter from this weekend's extreme heat. The National Weather Service is predicting temperatures into the mid and upper 90’s, with a heat index of 104 degrees on Saturday. The Center will be open as a warming center on Friday, June 29, from 9:30 a.m. to 5 p.m.; Saturday from 9 a.m. to 8 p.m.; and Sunday between 10 a.m. and 8 p.m. Please note that the cooling center is meant for temporary relief from heat and humidity; it does not provide food/beverages, bedding, or medical treatment. The Kulick Community Center is located at 1201 Livernois St. in Ferndale. They can be reached at 248-544-6767.